Having benefitted so hugely from 3D models that Heinrich Mallison made for me — most notably, the Xenoposeidon model that is the supplementary data file for the recent preprint — I realised the time has come for me to learn to do this for myself. 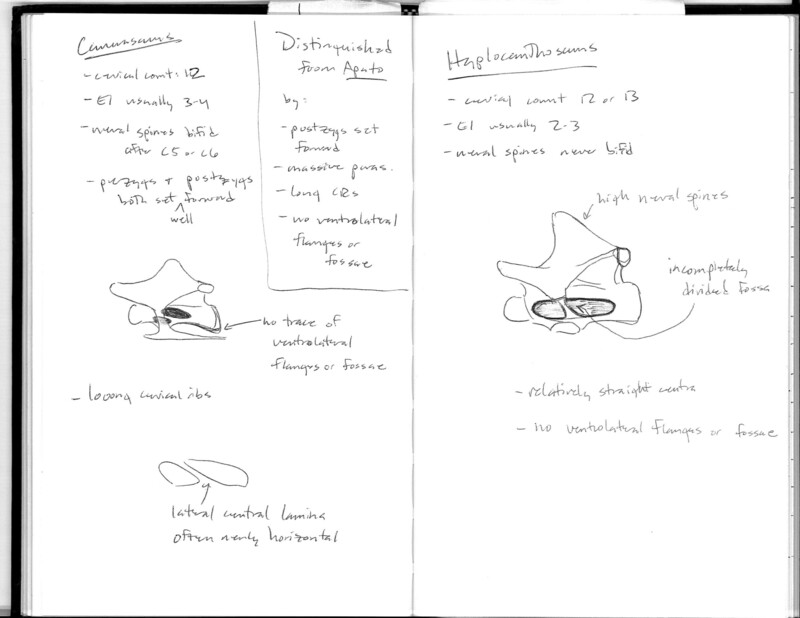 To that end, I am going to read all the tutorials he’s written on the subject. This page is a link-farm to those tutorials, which I made for my own benefit, but which I hope others will also benefit from. 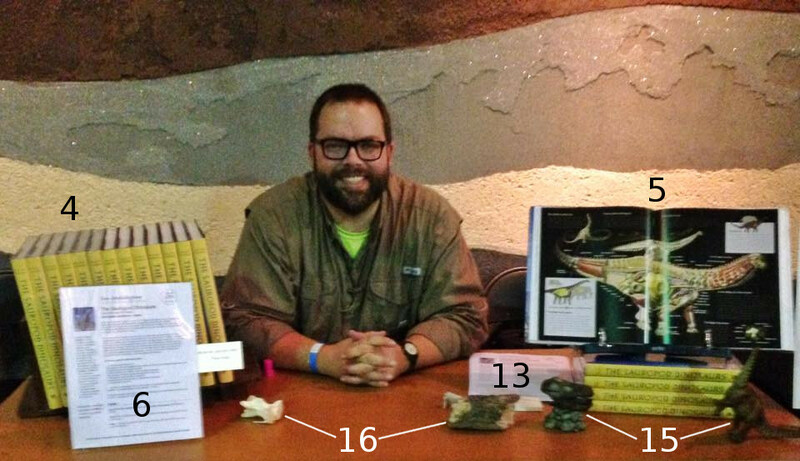 There is also Heinrich’s paper, with Oliver Wings, Photogrammetry in paleontology – a practical guide (Mallison and Wings 2014), which he announced in its own blog-post. Mallison, Heinrich, and Oliver Wings. 2014. 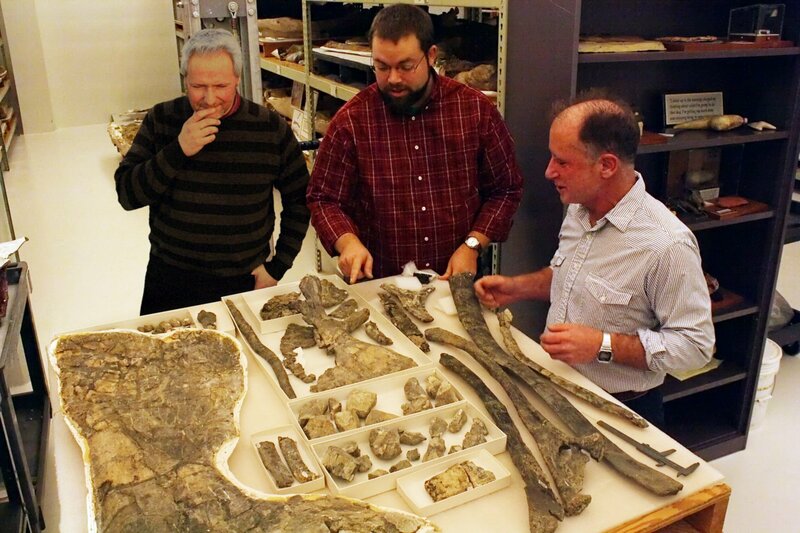 Photogrammetry in paleontology – a practical guide. 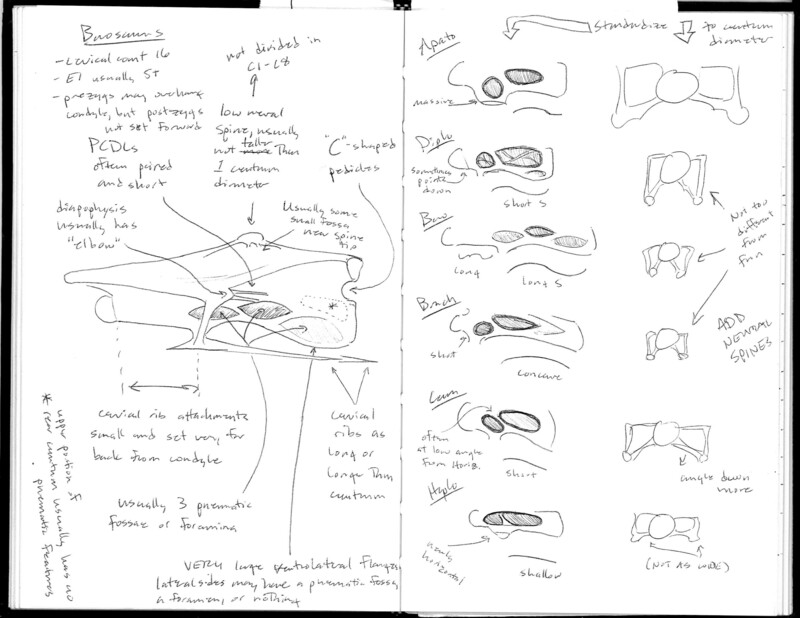 Journal of Paleontological Techniques 12:1-31. If you’re like me, you don’t count sheep when you fall asleep, you count laminae. 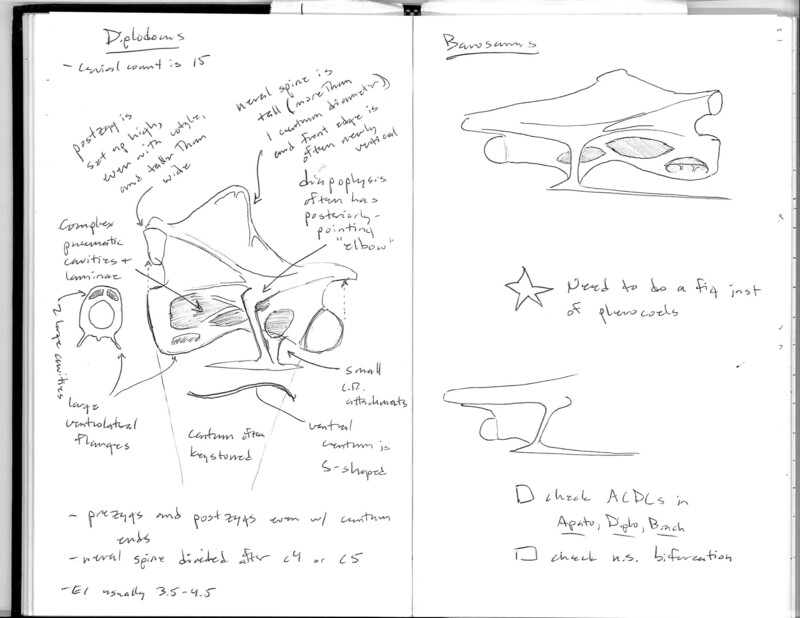 These struts of bone and their affiliated fossae connect and span between major structural features on vertebral neural arches such as prezygapophyses, postzygapophyses, parapophyses, diapophyses, hyposphenes, hypantra, and the neural spine. Presumably, laminae bracket and fossae house outgrowths of pneumatic diverticula from the respiratory system, which has been covered extensively on this blog in sauropodomorph dinosaurs. You might have noticed that the names are a mouthful and take up their fair share of typed characters. In my research of early saurischian dinosaurs, I’ve run across quite a few of these laminae everywhere from herrerasaurids to sauropodomorphs to coelophysoids to Dilophosaurus. Even though I’ve drawn, photographed, and written about various laminae and fossae, I still need to remind myself of what goes where and what it’s called. 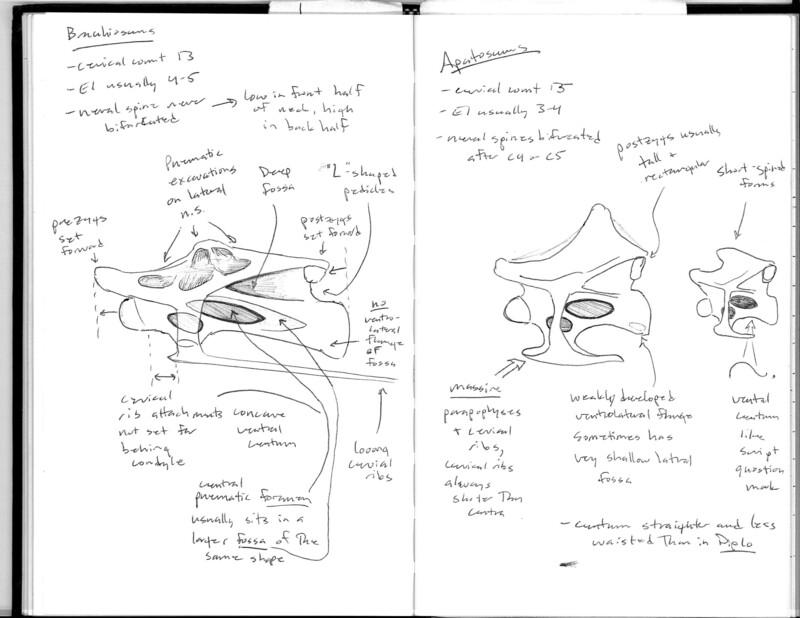 Believe me, vertebral lamina nomenclature does not lend itself well to Dem Bones covers. As a result, I’ve put together a reference figure that might be useful for those of you who are dealing with this or even teaching it to students. At the very least, you can put it on the ceiling above your bed so that it’s the first thing you see when you open your eyes in the morning. 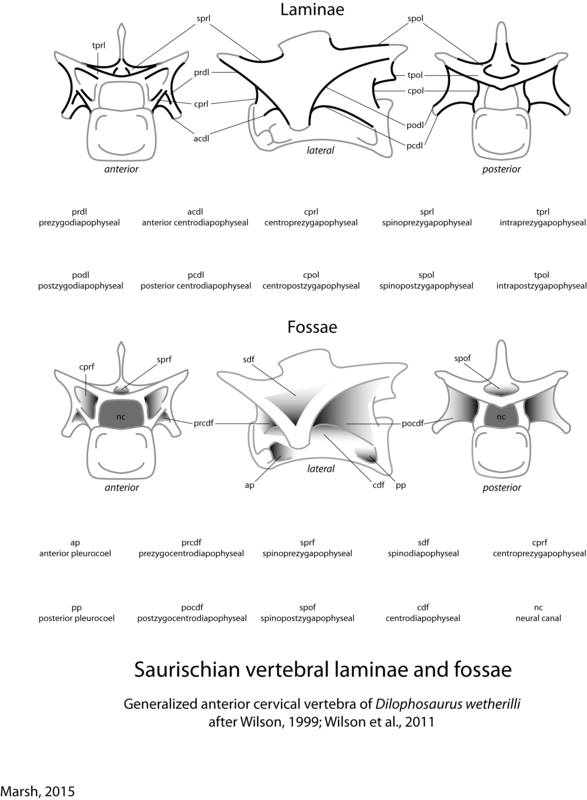 Four main vertebral laminae are present plesiomorphically in archosaurs: the anterior and posterior centrodiapophyseal laminae, the prezygodiapophyseal lamina, and the postzygodiapophyseal lamina. 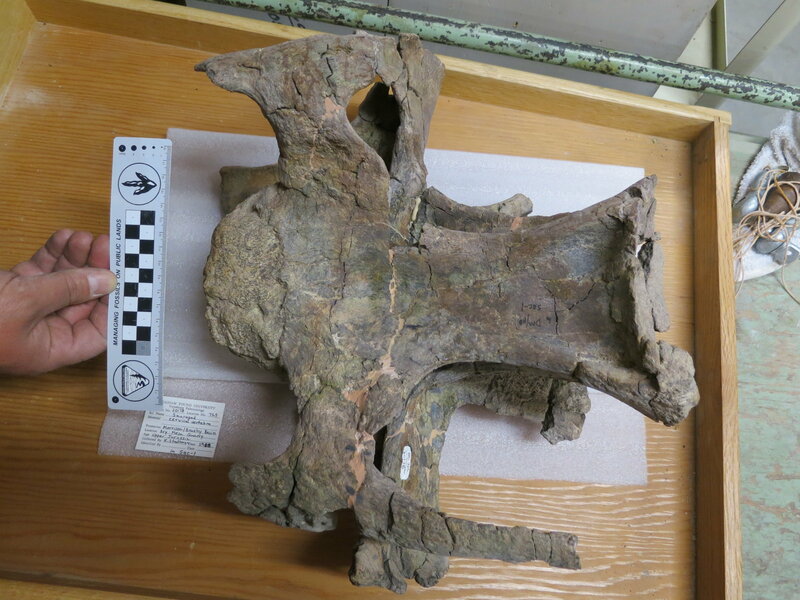 This means that the prezygocentrodiapophyseal, postzygocentrodiapophyseal, and centrodiapophyseal fossae are present, and sometimes the top of the transverse process is concave between the neural spine and the zygapophyses to form the spinodiapophyseal fossa. I know that a certain sister group of Sauropodomorpha can get disparaged around these parts, but the truth is that theropods build long necks, too, and sometimes in very different ways than sauropodomorphs. 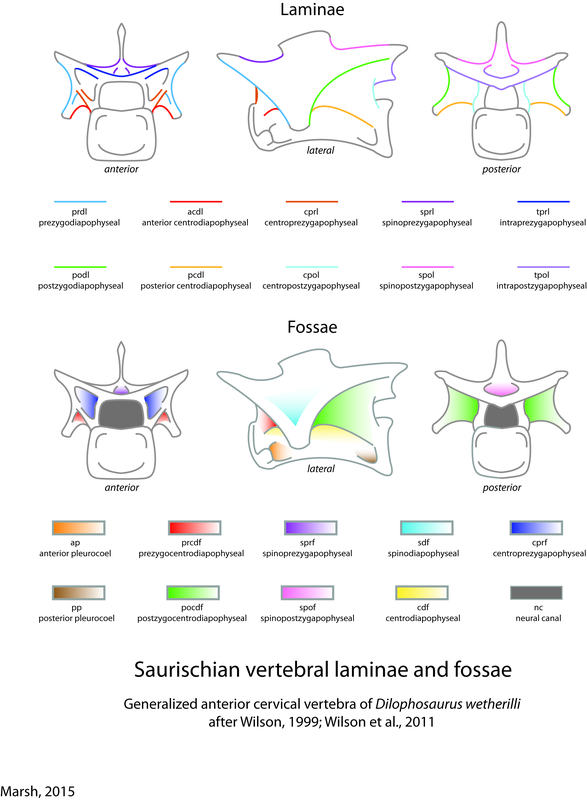 When you are writing about the various vertebral buttresses and chonoses, don’t get frustrated with the names, because Wilson and his colleagues have actually made it much easier for us to talk to one another about presumably homologous structures without needing an additional degree in civil engineering.